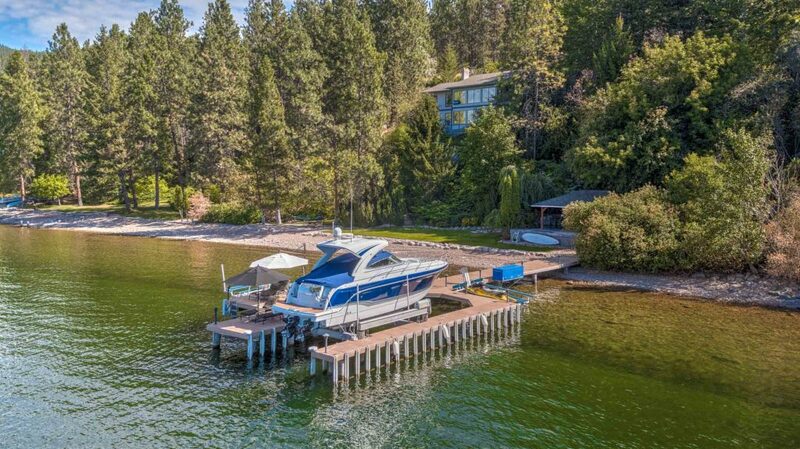 Just a few minutes north of the bustling Kelowna city centre lies an oasis that is the very definition of the Okanagan lifestyle. Luxury, seclusion, and a relaxed atmosphere are what you’ll find, here. 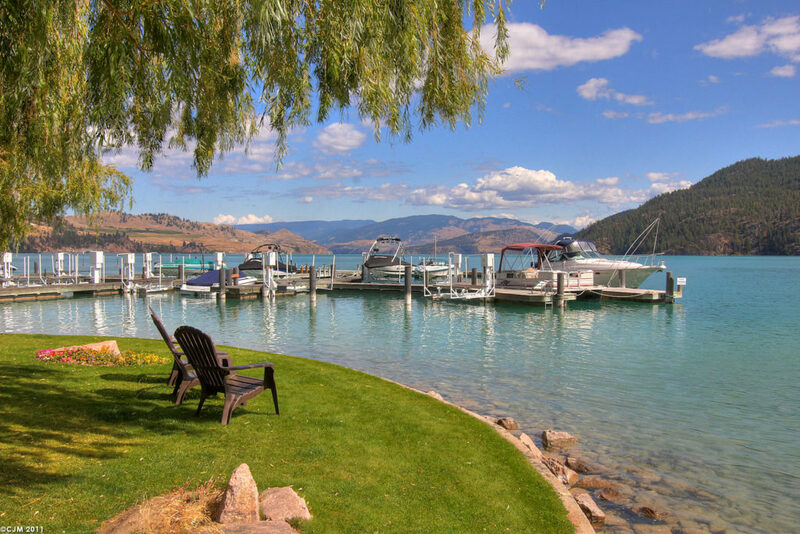 Lake Country is a fitting name for this idyllic community, nestled between three sparkling lakes. Boasting four perfect seasons and fertile soils, the area’s lush hillsides are covered in vineyards, orchards and farms. Dramatic ponderosa forests and untouched beaches offer endless access to nature. Charming neighbourhood centres with restaurants, cultural organizations and family-friendly recreational options unite Lake Country residents, promoting the magnetic, small-town feel. It’s no wonder people are drawn to this place. Although they incorporated more than 20 years ago, each of the four small communities that comprise Lake Country still retains a distinct personality. Winfield, at the southern end of the municipality, is a thriving, friendly village, with a commercial centre, welcoming single family homes, beautiful parks, and well-appointed strata developments. Lakefront properties on the shore of peaceful Wood Lake capitalize on the incredible views and sandy beaches. 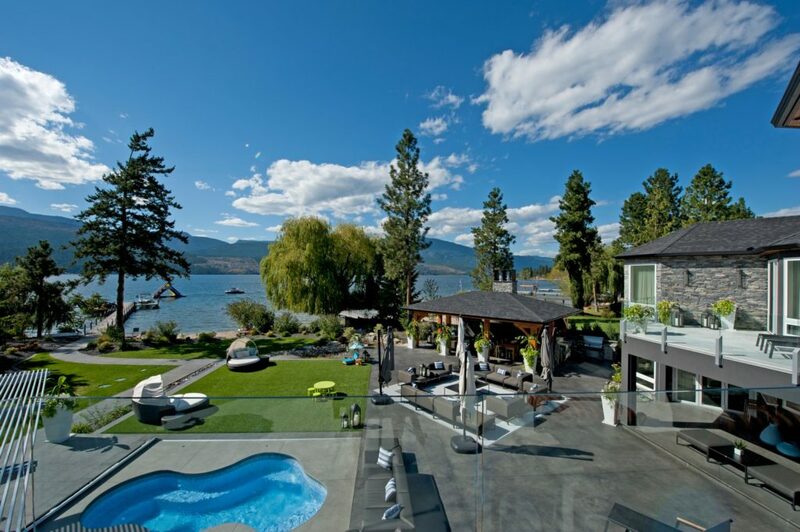 This stunning property makes the most of that Lake Country beachfront with its thoughtfully designed landscaping. 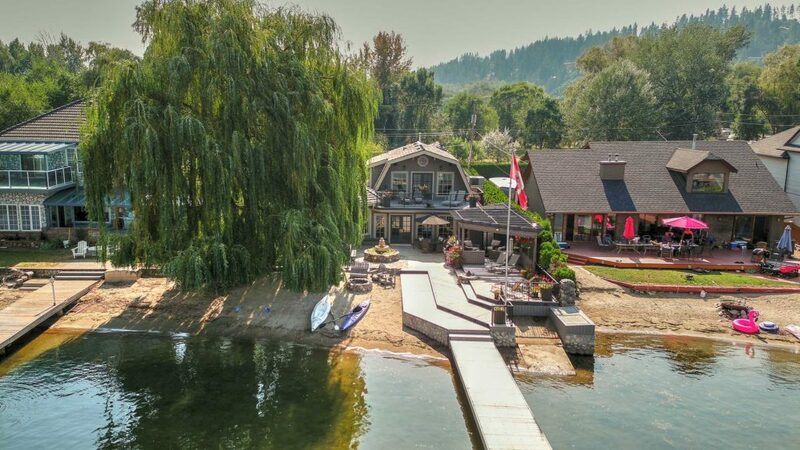 Oyama lines the shores of Wood and Kalamalka Lakes, with a mix of waterfront cottages and agricultural acreages, all boasting enviable views. Immediate access to the water and to winding trails mean boating, hiking, biking, and cross-country skiing can be everyday activities. Some Oyama residents even commute to work via kayak! National Geographic named Kalamalka one of the 10 most beautiful lakes in the world, with its gem-like, ever-changing hue. Take advantage of the Oyama lifestyle with these perfectly designed homes, located in the new Crystal Waters development. This picturesque strata neighbourhood offers green space, a private wharf, recreational activities, and unparalleled views. Running along the eastern shore of Okanagan Lake the exclusive, wooded neighbourhoods of Okanagan Centre and Carrs Landing feel completely removed from busy urban life. Magnificent waterfront properties mingle with world-class wineries and quiet farms. New, upscale developments take advantage of the stunning views. Mature landscaping and unmatched views make this gated lakefront property feel like a private island. Tranquility can be found from every window. Ready to make Carrs Landing your own? This remarkable estate offers exquisite architectural detailing and an expansive, resort-like backyard. Minutes from all city amenities, but miles away in spirit, Lake Country is an attractive spot to create your perfect Okanagan paradise. Contact Jane Hoffman Group to help make it yours.